Why I became a doula is two parts. One part, because I loved working with families as an educator. However, as an educator, there was already so much history to each child and family before I met them. I wanted to be there at the beginning of a family to help them have an amazing start. The second part is because there are gaps in the care new families receive and I have seen, in my friends and family, how those gaps can negatively affect the development of parents and children. I am a born nurturer and I couldn’t think of a better way to spend my life than to fill those gaps of care to provide families with a lifeline at such a vulnerable time. 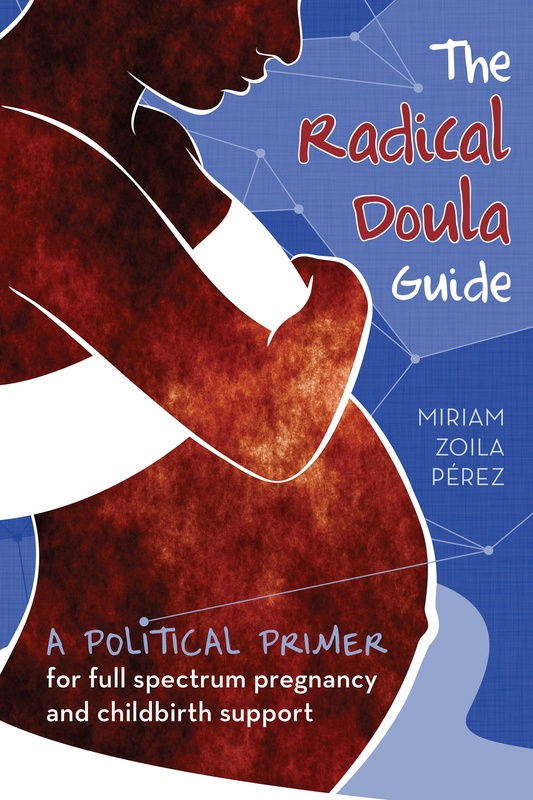 I am a radical doula because I advocate for change. I stand up and educate when I see unfair treatment. I am a radical doula because I live to be the change I want to see in the world. The best thing about being a doula is serving my clients. Lifting their spirits, cheering them on, lightening their load, teaching them new skills, being a calm presence, hearing their stories, building their confidence. I am happy as a human when I can help others to thrive. I mean, what’s not to love about being a doula? I would change the blanket-style care in birth and postpartum. I would change the typical way people are treated in the same way no matter their personal preferences, fears, or identity. This method of care undermines parents and can strip them of their confidence to birth and parent the way they know they will be most successful. I want to see more personal, individualized care.